The ContinuumFP wealth creation process unites the skills and experience of our advisers and their support team, with the financial resources and expertise of our clients. 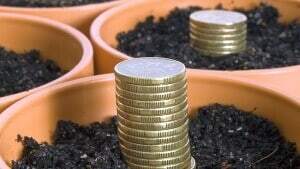 Wealth creation occurs when a number of elements combine to your financial benefit. These elements include implementation of sound investment strategies, that bear in mind your personal and financial circumstances, available resources, your clearly articulated needs and goals, your adequately assessed investor risk profile – and your relevant timeframe(s). ContinuumFP sees wealth as more than a financial score: we see it also as a feeling of well-being. It is more than achieving the most favourable return on investment; it includes also whether you have peace of mind about your investments (whether you are sleeping at night, confident in your investment strategy). Continuum Financial Planners Pty Ltd (ContinuumFP) has a conservative approach to investing, which is trusted by a growing number of satisfied clients to service their wealth management needs. Your adviser at ContinuumFP will work with you to devise the personal plan that is in your best interest, is understood and accepted by you – and gives you that peace of mind that constitutes a successful wealth creation process. Their process will include helping you decide the most suitable investment platform – and investment portfolio (including managed funds) – to help you reach your financial goals sooner. Working to the mantra: ‘we listen, we understand; and we have solutions’ – that we deliver in ‘personalised, professional wealth management advice’, our team delights in finding solutions that are suited to your circumstances – and are in your best interest. Your life goals, your interests, your investment preferences? The time frame(s) that are available to achieve these goals? To get started at the earliest possible convenience, call our office (on 07-34213456) to arrange a meeting with one of our advisers: alternatively, you could complete the details in our Contact Us page – in either case, be assured prompt and courteous attention will be given to your request. If you prefer to do some research on our services, please go to these pages that outline: our value-adding services offer; our fee for service policy (detailing some of the ongoing service packages we can agree with you); some testimonials from satisfied clients; or to the FAQs where you can find even more information about how we work to achieve your best interest as you seek to achieve your financial goals. After 28 years as an accountant in public practice Eric commenced his work in the financial planning industry in October 2000. During his career, Eric has advised clients on a wide range of financial and general investment matters, whilst providing strategic business services to entrepreneurs and senior managers. Are you wanting to find out more about Financial Planning? 260 Queen Street, Brisbane Queensland 4000.